Create some classy drinking cups, wine glasses just for you, or perhaps a unique shot glass. I have the ability to engrave both round and flat glass items as needed, but I cannot cut custom pieces. 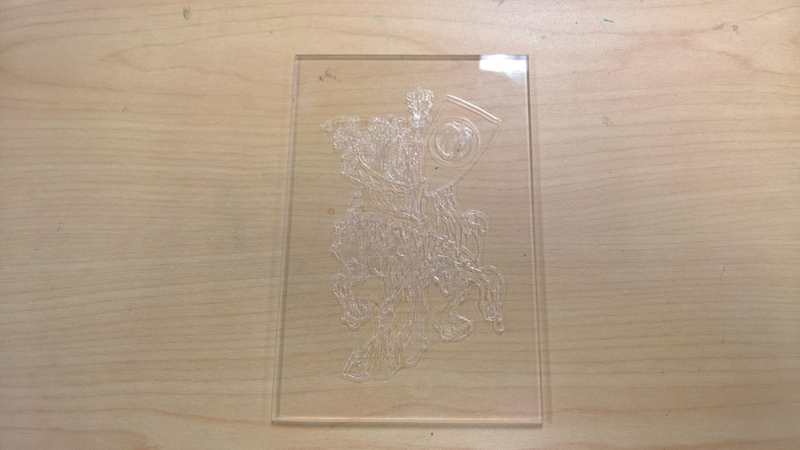 If you need custom shapes of glass you will have to obtain them elsewhere and then I can engrave them. In addition I can engrave the bottoms of glass baking pans and flat-bottomed glass bowls, as well as the sides of labware destined for display purposes or home use only. Be aware labware, baking pans bought from Europe, and older US Pyrex-brand items have a different glass composition. 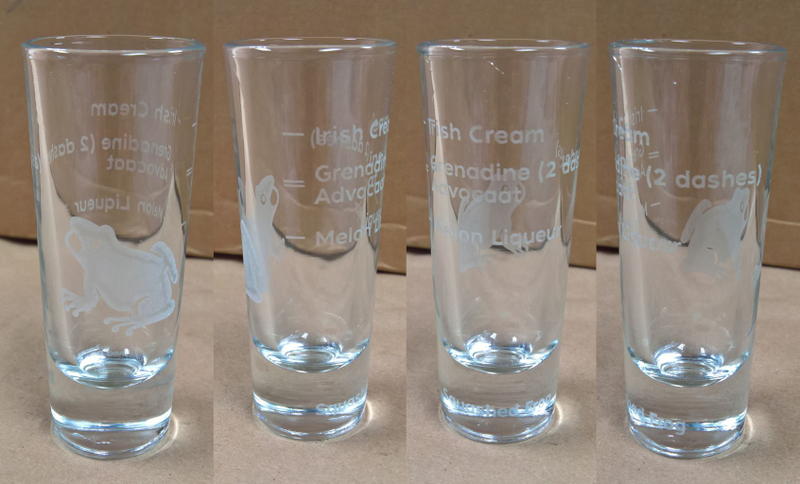 These do not engrave with the same frosty effect as your average cup or bottle. I haven’t tried it yet, but it should be quite safe for me to engrave wine bottles in order to make unique gifts. However this is kind of a one-shot proposition, so it’s best not to ask me to engrave your rare 1947 Château Pétrus.